Believe the hype. 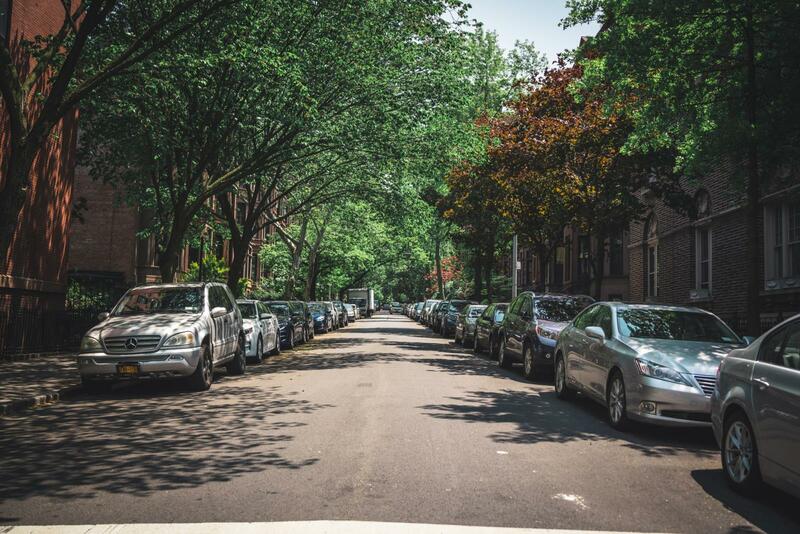 Park Slope & Prospect Heights in Brooklyn are neighborhoods that are currently prospering in New York City. 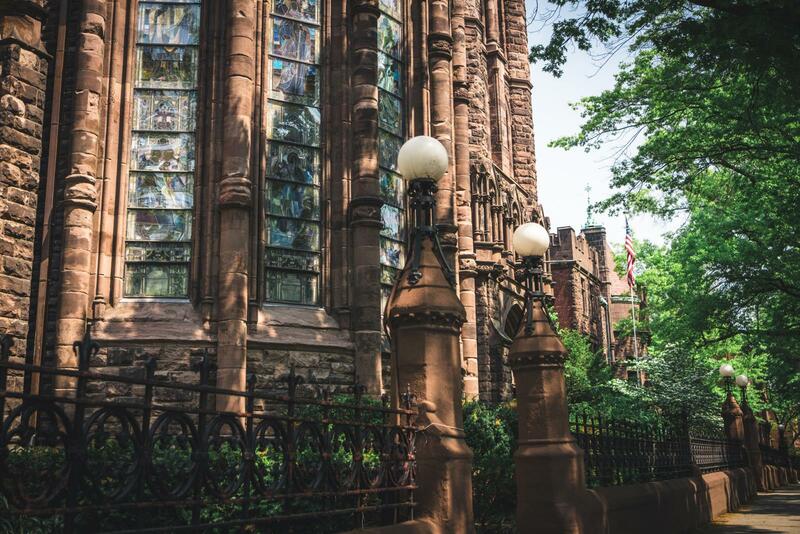 There are many things to do in Park Slope Brooklyn. It is great for families and is one of the best places to raise kids in a big city like this one. There’s a joke in regards to the neighborhood stating that more strollers and families move around the streets than cars. Also, The Grade II listed Brownstone homes you see in Park Slope today are well worth between $ 2 million and $ 6 million. There are multiple trains leading to Park Slope which makes it really convenient for commuters. You can take the F G to 7th Avenue in Brooklyn and the 1 2 to Grand Army Plaza which will drop you off closer to Prospect Park. In Park Slope you can go for a walk and marvel at the Brownstone Houses right next to the beautiful Prospect Park. So, who are the type of people that live in this area? The area is very diverse. It’s residents consists of “yuppies” and trendy young families. You will also see retirees enjoying the charm of the area and are lucky that they never sold their homes in Park Slope Brooklyn. 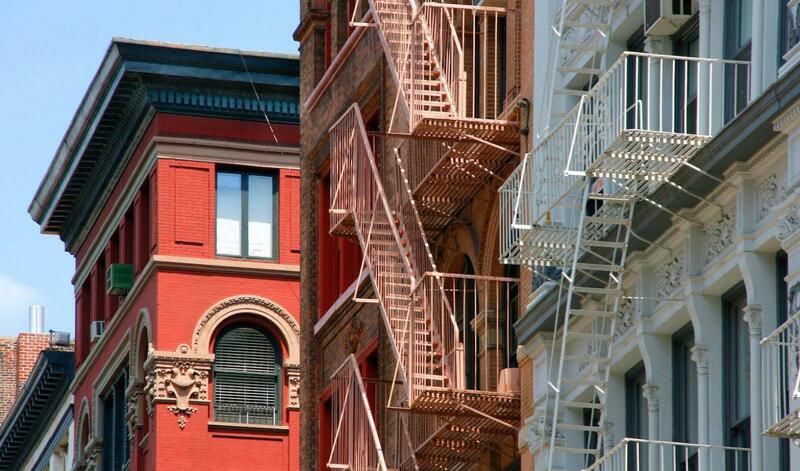 This article will explain what makes this neighborhood so amazing. 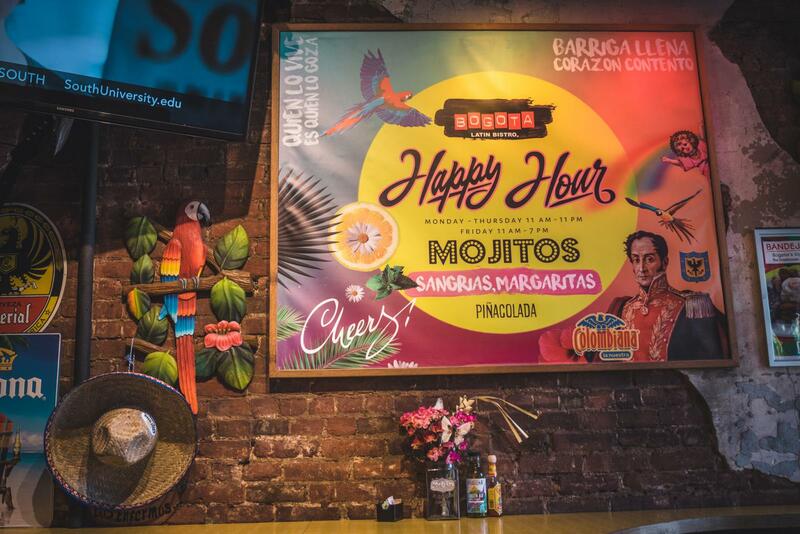 Here are our recommendations while you’re in Park Slope. 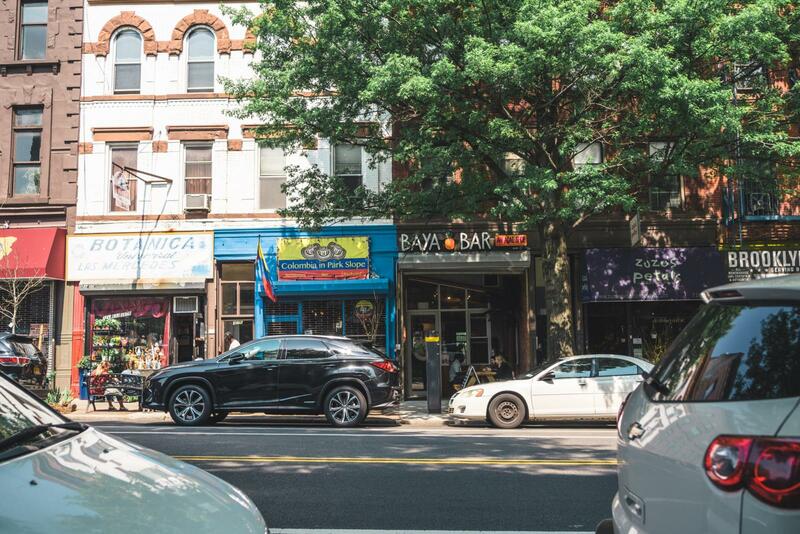 5th Avenue in Brooklyn is the heart of Park Slope with many restaurants, cafes, bars and shops. This museum is Brooklyn’s answer to the MET located in Manhattan and is a great alternative. Additionally, you can save money and gain access to the Brooklyn Museum by purchasing the New York Pass here. To learn more about the New York Pass, please click here. 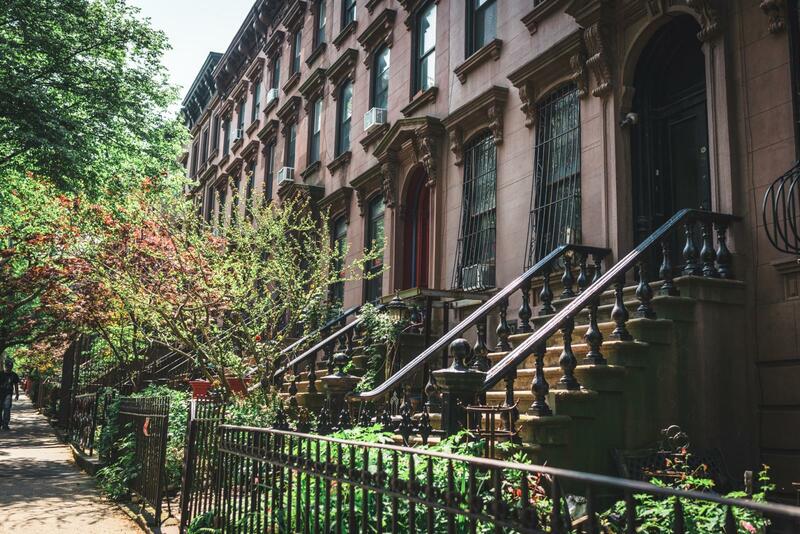 The “typical” New York City Brownstone Houses is an absolute highlight in Park Slope. Whether you’re a sports fan or not, you should definitely check out a sporting event or even a concert if you can. It’s located in the heart of Brooklyn. Just like Central Park in Manhattan, Prospect Park has a zoo itself. If you’re into animals definitely make time to check it out. There are many things to do in this neighborhood. There are vintage and second hand shops everywhere. The food scenery is diverse as well. 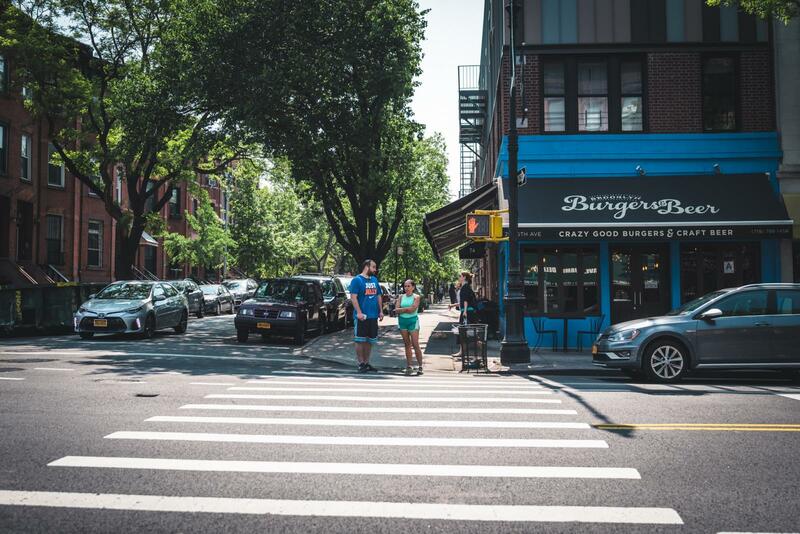 If you plan on stopping by Brooklyn during your trip to NYC, definitely check out Park Slope. 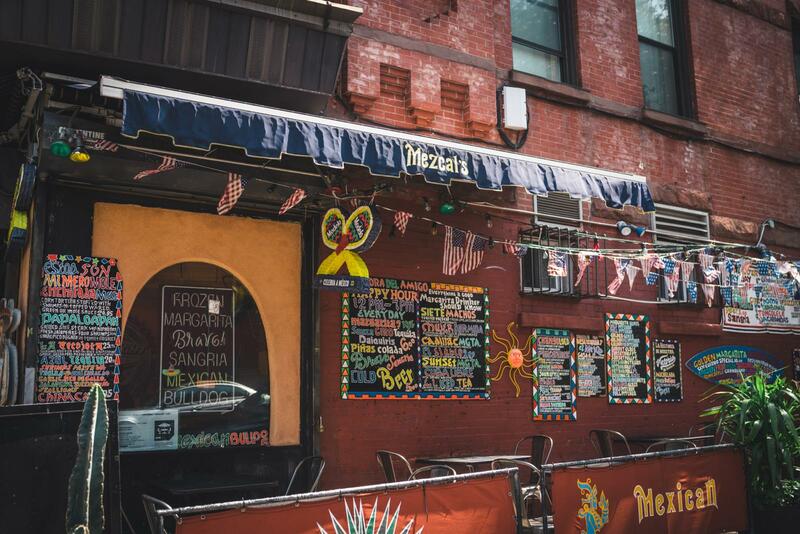 Park Slope is loaded with restaurants. You can find many cuisines in the area. Checking out food establishments are just one of the best things to do in Park Slope Brooklyn. Here are some of our favorite places below. For those who could no longer afford the exploding prices of Park Slope have discovered the equally beautiful Prospect Heights neighborhood. 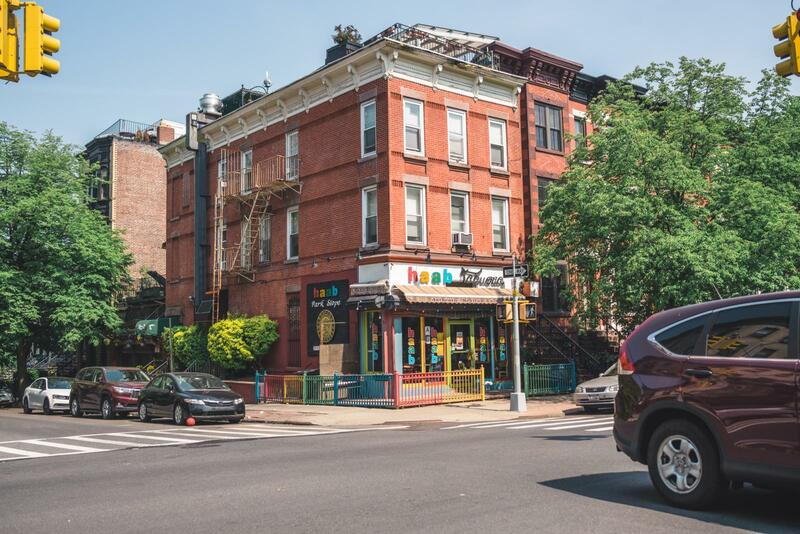 The triangular neighborhood on the border of Fort Green and the Crown Heights is often referred to in the same breath as Park Slope Brooklyn. Opened in 1867, Prospect Park, Brooklyn’s equivalent to Manhattan’s Central Park, is the green oasis and the heart of the area. 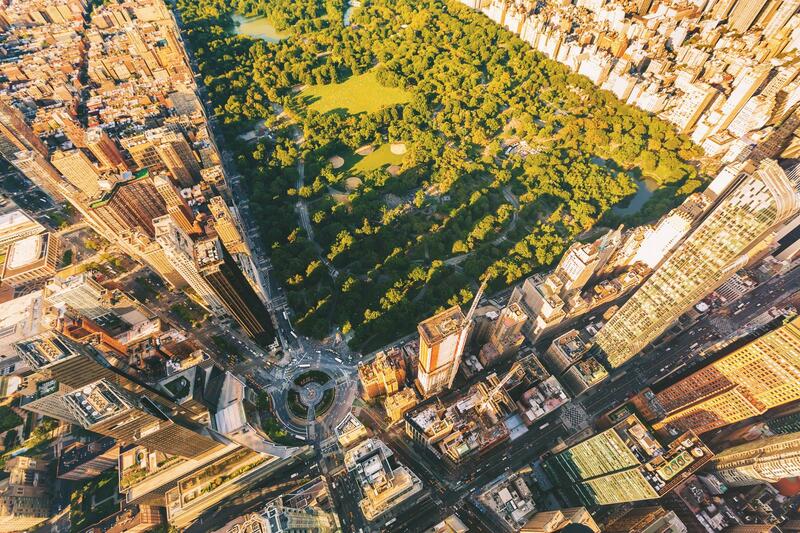 The 2.4 square kilometer park was designed by Frederick Law Olmsted and Calvert Vaux after completing their work in Manhattan’s Central Park. 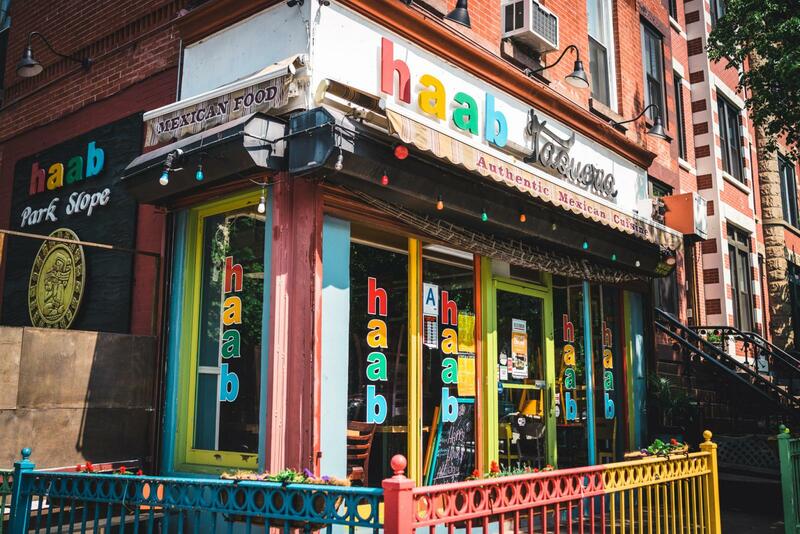 If you’re looking for things to do in Park Slope, make sure you visit this landmark. The park has many special features in addition to many large green areas, such as Long Meadow. Brooklyn’s only lake is located on 24 acres in Prospect Park. The Brooklyn HQ for the New York City Department of Parks and Recreation is The Litchfield Villa which is located in the park and the former home of Edwin Clark Litchfield. Other attractions inside the park are The Prospect Park Zoo, a boathouse, the Botanical Gardens, the Prospect Park Bandshell (a concert venue) and many sporting entertainment venues (such as a baseball field, tennis center , basketball courts & soccer fields). 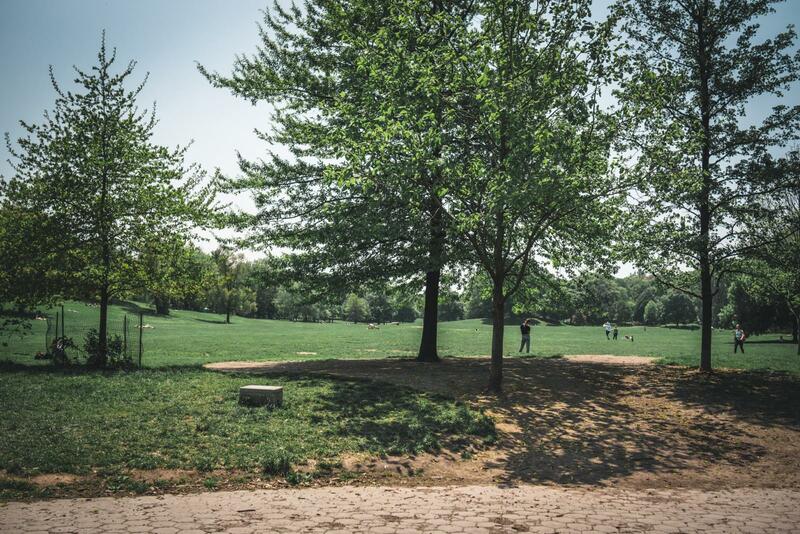 Just like Central Park, Prospect Park is an ideal getaway during the warmer months. 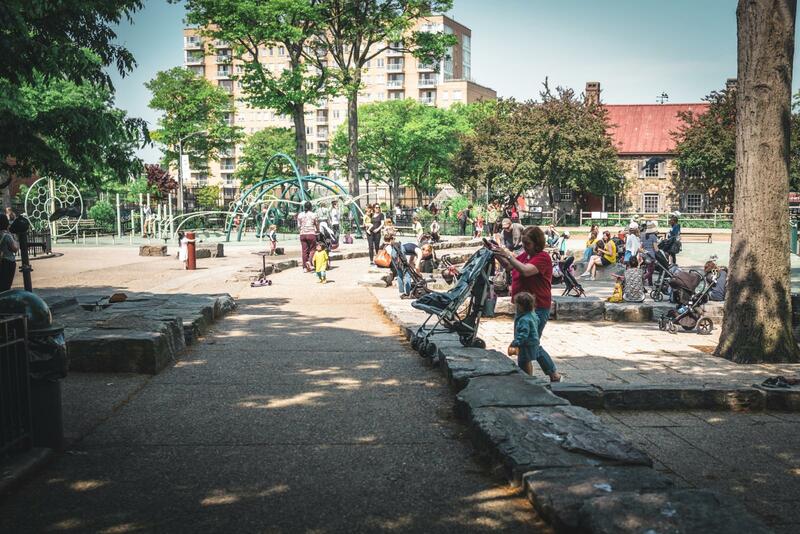 For the residents of the area, the park is the treasure of the neighborhood. For you bird watchers, many people marvel at the approximately 200 species of birds that live in the park. Read more about bird watching in Prospect Park here. As you enter the park, we recommend you use the main entrance. The Grand Army Plaza is pretty much the gateway to Prospect Park. It’s located on the intersection of Flatbush Avenue, Eastern Parkway, and Prospect Park West in Brooklyn make up the Grand Army Plaza. The New York version of the Arc de Triomphe, one of the most important monuments in France, is a memorial of great importance to the city of New York City. 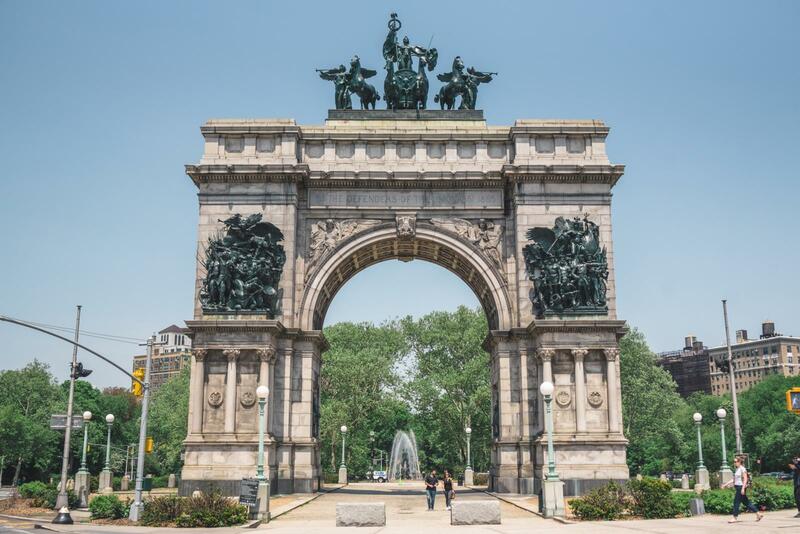 The picturesque archway of the Soldiers ‘and Sailors’ Arch , dedicated to the defenders of the Union between 1861 and 1865, forms the Grand Army Plaza. The Brooklyn Public Library is also located in the same area and is definitely worth a visit as well. Another one of the most popular things to do in Park Slope is to visit The Brooklyn Botanic Garden. It is the natural wonder of New York City and very popular during the cherry blossom season. Many come straight to the Botanic Garden in Brooklyn to see this natural spectacle. Click here for more information about cherry blossoms. The garden is divided into many different individual gardens. The Japanese hill-pond garden exudes calm and serenity, the scent of the Cranford-Rosengarten will linger in your mind for days and the Steinhardt conservatory with the world-famous CV Starr Bonsai Museum invites you in for a stroll. New York Pass holders have free admission to the Brooklyn Botanic Garden. Learn more about the New York Pass and get great discounts and free entry to the Brooklyn Botanic Garden. One of the best things to do in Park Slope is to attend a sporting event. Okay, so it’s not exactly inside Park Slope, but The Barclays Center, which is NYC’s newest arena is located right on the edge of the neighborhood. The Brooklyn Nets have made this arena their new home also their fourth club name. They were first called The New Jersey Americans, then The New York Nets, followed by The New Jersey Nets. Since 2012, the basketball team is now known under the name, Brooklyn Nets. Music mogul, Jay-Z played a part in bringing the Nets to Brooklyn. The relocation and construction of the stadium is part of an initiative to restore Downtown Brooklyn to its former glory despite the initial skepticism of Brooklyn residents. Tickets for the Brooklyn Nets can be conveniently ordered in advance on this page. The prices for tickets start at $28. Just an FYI, the NBA season runs from October to April. You can also catch an NHL game and even boxing. The Barclays Center has become the mecca of boxing in the East Coast. 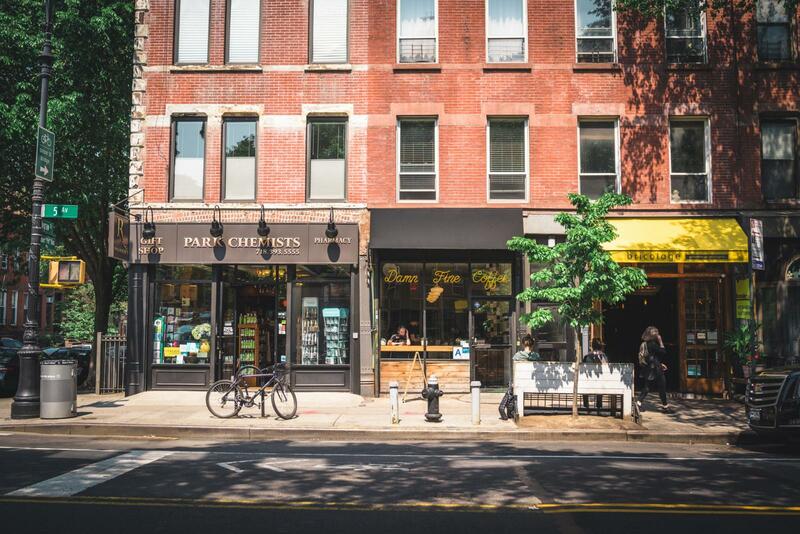 Walk through Park Slope Brooklyn and you’ll find that there’s a lot of stores to shop at. Don’t expect to see any major retail stores in the area such as Macy’s or H&M. Here, you’ll find small boutiques, vintage stores, second hand stores and local designers. Beacon’s Closet is a trendy second-hand store. Here, you’ll find designer fashion brands at bargain prices. The Cog & Pearl (address: 190 Fifth Avenue) sells handmade jewelry and local designer art. Super trendy and sometimes hard to find sneakers can be found at Premium Good. Other recommendations are the Housing Thrift Shop (address: 266 5th Ave) and Summer Stoop Sales which are private individuals selling their clothes on the doorstep. It’s a Brooklyn thing. 7th Avenue also boasts great stores including Brooklyn Industries. Lion in the Sun offers creative stationery and great cards. Great souvenirs are also available at the Brooklyn Superhero Supply Company. One of the most popular things to do in Park Slope is visiting The Brooklyn Museum. It’s essentially Brooklyn’s answer to Manhattan’s Metropolitan Museum of Art. Designed by McKim and Mead & White in 1897, The museum has the seventh largest art collection in the US, with more than 2 million items. Exhibitions include the Egyptian collection on the fourth floor, as well as the pre-Columbian collection on the first floor. The so-called “Period Rooms”, which are located on the fifth floor, display more than 20 living and dining rooms from New England homes from 1675 to 1830. Visitors also receive a very good overview of US art with works of Albert Bierstadt such as “A storm in the Rocky Mountains”. Be sure to check out the Museum’s exhibition calendar beforehand, as there are always shows, controversial presentations and other events (swing dancing or portraiture lessons, cinema screenings, world music concerts and hip-hop DJ sets) (Address: 200 Eastern Pkwy, Brooklyn). Other neighborhoods in Brooklyn that you should check out is DUMBO (Down Under The Manhattan Bridge Overpass) and also Williamsburg. Both places have their unique atmosphere and touch.